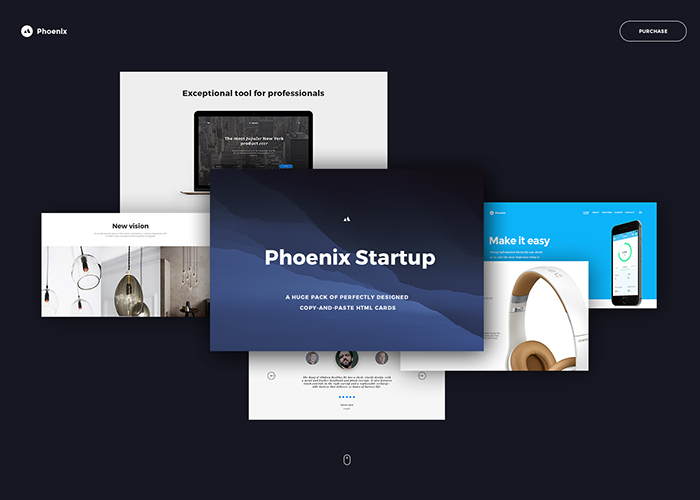 Phoenix Startup UI Kit — the best time and money saving tool for busy web agencies. Fully responsive, Phoenix Startup contains 340 crossbrowser and highly customizable HTML5 components. You can easy and fast build a modern landing page for any project. As a bonus you will get PSD+Sketch files for the fastest prototyping.